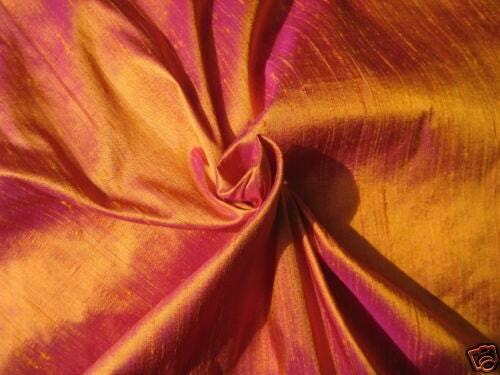 Burnt Orange Magenta iridescent dupioni silk fabric. Brand New High-End Dupioni Silk Fabric Yardage. 45 inches wide. It is beautiful! WE ARE COMPLETELY SOLD OUT OF THIS BURNT ORANGE MAGENTA COLOR AS OF MARCH 30 2019. ALL ORDERS FOR THIS WILL BE SHIPPED MAY 20. ELAGANT AND LOVELY! FAST SHIPPING. Always excellent quality and prompt delivery ... A favorite store on Etsy for me! !